I’m always on the lookout for things that can fit into the “healthier indulgence” category. Chips are one of the things that many people like but find it very difficult to find good versions of these days. If you find healthy ones they’re often not the tastiest and aren’t really worth the indulgence or the tasty ones usually fall short on the ingredients side. 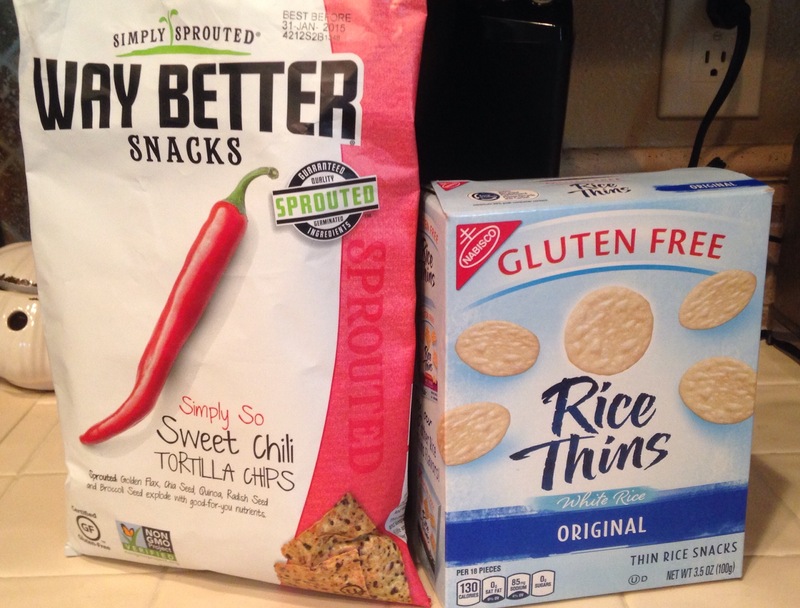 Recently I found two that are pretty good both in ingredients and taste: Nabisco Rice Thins and Way Better Tortilla Chips. 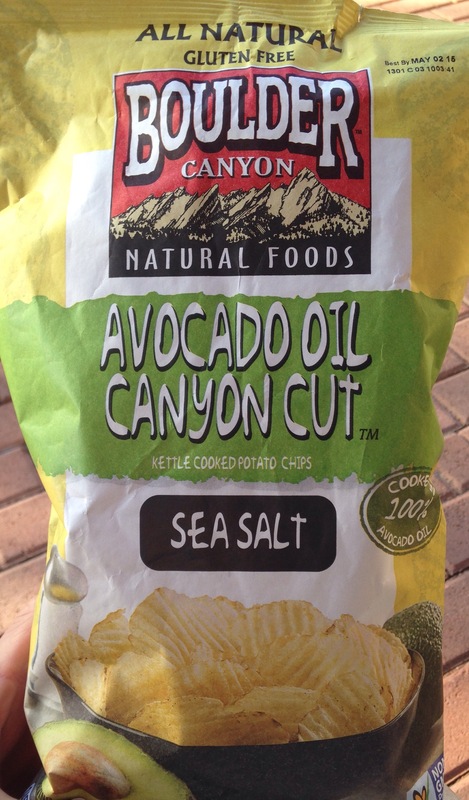 ** Update on 12-17-14: add Boulder Canyon Avocado Oil Canyon Cut potato chips to the list! Nabisco Rice Thins are simple rice chips. Just three ingredients: rice, high oleic safflower oil and salt. Doesn’t get much simpler than that. Perfect for anything you want to add crunch to. Although a few other versions are flavored, which means a few more ingredients, I found the plain ones to be just right for providing a little salty crunch. Way Better Tortilla Chips are a more complex blend of sprouted grains and seeds. The Simply So Sweet Chili flavor has the following ingredients: Stone Ground Corn, High Oleic Sunflower Oil and/or Safflower Oil, Organic Sprouted Flax Seed, Organic Sprouted Quinoa, Organic Sprouted Daikon Radish Seed, Organic Sprouted Chia Seed, Sprouted Broccoli Seed, Seasoning (Raw Cane Sugar, Vinegar, Sea Salt, Native Potato Starch, Onion, Garlic, Cayenne Pepper). What I like is that there’s a nice variety of seeds, the seeds are sprouted (which is very difficult to find these days) and that the other ingredients are pretty minimal and decent. This chip was very flavorful and had a little kick to it- exactly what I like. Another tasty chip was found just the other day when I was at the store looking for the Way Better chips when something caught my eye: Boulder Canyon Avocado Oil Canyon Cut potato chips. I’ve seen chips with olive oil but never avocado oil so this was worth some further investigation. Ingredients were simple: potatoes, avocado oil and salt. Check. They tasted great so I gladly add them to the list and look to try a few of their other products as well. There are many more healthier indulgent snacks out there and as I come across them I’ll share them because although they shouldn’t make up a large part of your food intake it is always nice to have snacks that are both tasty and done the right way. Thanks Nancy- it should be fixed. Ive never had the Almond NuThins- I’ll check them out!